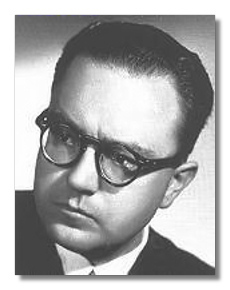 Born of an Catalan father and Italian mother and considered – with Brazil's Heitor Villa-Lôbos – one of the two greatest composers South America has produced, Alberto Ginastera (pronounced JEE-na-STAIR-a; the family name is Italian) trained almost exclusively in Argentina. His early music, most of which he withdrew or destroyed, shows the vestiges of Impressionism, considered Modern music in South America at the time. 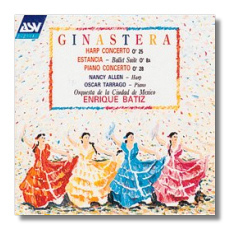 However, Ginastera quickly absorbed other influences, notably that of the early Stravinsky ballets and of a Bartókian approach to Latin-American folklore. Indeed, nationalism as expressed through folklore colored much of his output. Within Argentina, Ginastera was considered the leading Young Man of Promise, particularly after the premiere of excerpts from his ballet Panambi (1937). Panambi takes aboriginal poetry and culture as its starting point and works an idiom strongly based on Stravinsky's Firebird. Ginastera designated Panambi as his Op. 1, but that misleads. He had written about fifty scores before that. In 1941, he participated in Aaron Copland's composition class at Tanglewood and formed a close friendship with him. Later that year, he joined the faculty of the National Conservatory of Argentina and the San Martin National Military Academy. Also in 1941, Lincoln Kirstein, after touring with his American Ballet Caravan through South America, commissioned a ballet score, Estancia. The company, however, disbanded in 1942, before it could premiere the work, so Ginastera extracted another suite, which became one of his most popular pieces. The complete ballet premiered in 1952. Estancia shows the influence of Copland's Billy the Kid as well as of Bartók. Estancia helped enormously to establish Ginastera's reputation outside Argentina. After World War II, he visited major schools in the United States and heard performances of his works by such stellar organizations as the NBC Orchestra. In 1945, Ginastera ran afoul of the Perón government for signing a petition for civil liberties. He lost his academic appointment at the Miltary Academy. However, he managed to travel abroad. In 1948, he helped found the Argentine section of the International Society for Contemporary Music. This also increased the exposure of his music abroad, particularly in Europe. In 1952, the Perónistas forced him to resign all his academic appointments. He did not begin to regain them until 1956, after Perón had been ousted. During this period, he supported his family by writing film music. The late Forties through the mid-Fifties saw the increasing influence of Bartók in Ginastera's work, exemplified by scores like Hieremiae prophetae lamentationes (1946), Ollantay (1947), String Quartet #1 (1948), Piano Sonata #1 (1952), and the Variaciones concertantes (1953). In these scores, overt nationalism gives way to an "objective" symbolism: the pitch sequence E-A-D-G-B-E' (the open strings of the guitar) and particularly the use of the malambo, a gaucho dance characterized by stamping feet. In about 1957, Ginastera began to incorporate serial techniques, marrying them to these musical images and to other Argentinean elements. Scores of this period include the Harp Concerto (1956-1965), Piano Concerto #1 (1961), Violin Concerto (1963), and especially the operas Don Rodrigo (1964) and Bomarzo (1967). Both operas, international successes, nevertheless caused trouble for Ginastera in Argentina, where their dark and decadent plots got them banned in Buenos Aires. 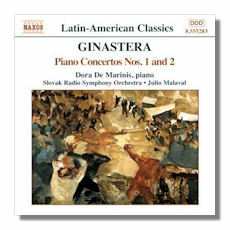 In retaliation, Ginastera forbid any of his works to be played in Argentina until officials lifted the ban. Troubled times took a toll on Ginastera's marriage. He separated from his wife in 1969 and formed an attachment with a cellist, Aurora Nátola. They married in 1971 and settled permanently in Switzerland. 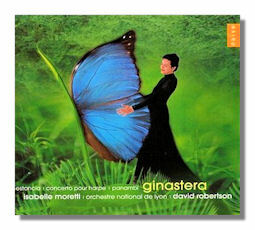 For a brief period, Ginastera's music became less Argentinean and more in synch with international compositional trends, shown by the opera Beatrix Cenci (1971), Cello Concerto #1 (1968-1977), and Piano Concerto #2 (1972). Actually, it would be more accurate to say that Ginastera became more eclectic, producing scores with elements from all his earlier work – Stravinsky, Bartók, folklore, serialism, experimentalism, and so on. His major score of his final period, Popul vuh, incomplete at his death but still performable, summarizes his entire career.